Trestle is pleased to announce the alleyway to the prison's garden, a solo exhibition by Iranian artist Nooshin Rostami, curated by Alex Paik. The title of the exhibition comes from the name of a street where her father grew up in the desert of Sharood, Iran. Within a metaphorical construction, the artist changes the perception of space and navigates the traits of form - both fluid and structural - to negotiate the relationship between seemingly paradoxical concepts of the human state: stable versus uncertain, controlled versus unruled, and static versus fluid. The exhibition will be in conversation with its sister exhibition at Art in Buildings, titled Corner of my room. Both installations are based on interviews Rostami conducted with her parents where she asked them open-ended questions as they watched the video piece that both of these installations refer to. They are collectively called Corner of my room and the alleyway to the prison's garden. Nooshin Rostami is a New York-based interdisciplinary artist and educator born in Shahroud, Iran. She immigrated to the United States to pursue her graduate studies, and so far she has been unable to return to her home country. 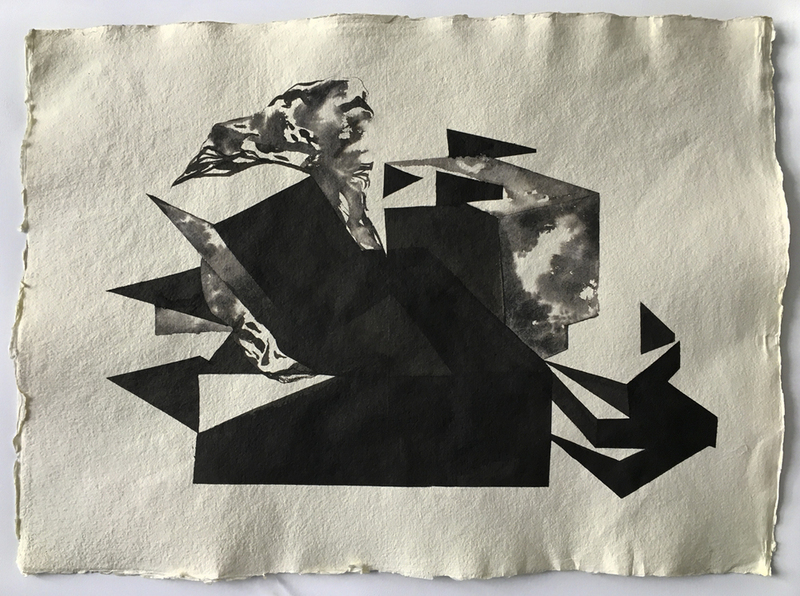 In her work, she explores the impact of displacement as physical, emotional and psychological conditions which she materializes as landscapes of abstract spatial constructs. As a multidisciplinary artist, Rostami works predominantly in performance, installation, and sculpture where a series of abstract forms mutate into an amalgam of objects, constituting personal, social & political narratives.